The Anam is one of the six resorts in the world to be recognised as ‘World Luxury’ by World Hotels. Add its prime location on Vietnam’s scenic Cam Ranh peninsula, Indochine era-inspired design, and private pools in (some) villas, and you have the perfect reason to plan a trip to Vietnam. Indulge yourself with this picture for a moment: You are in Vietnam for a holiday that is full of walks on the beach, relaxing spa treatments, and gourmet dinners. 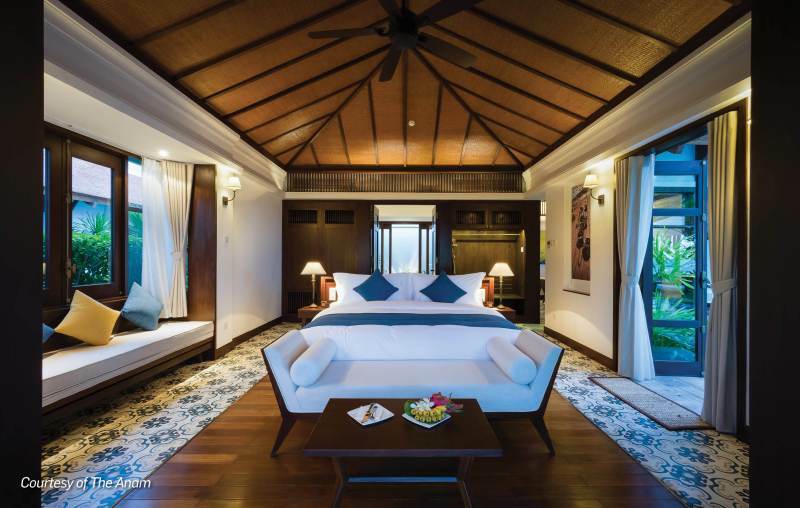 A world away, the beachfront property shaded by 300 palm trees, The Anam, Vietnam is your cocoon. 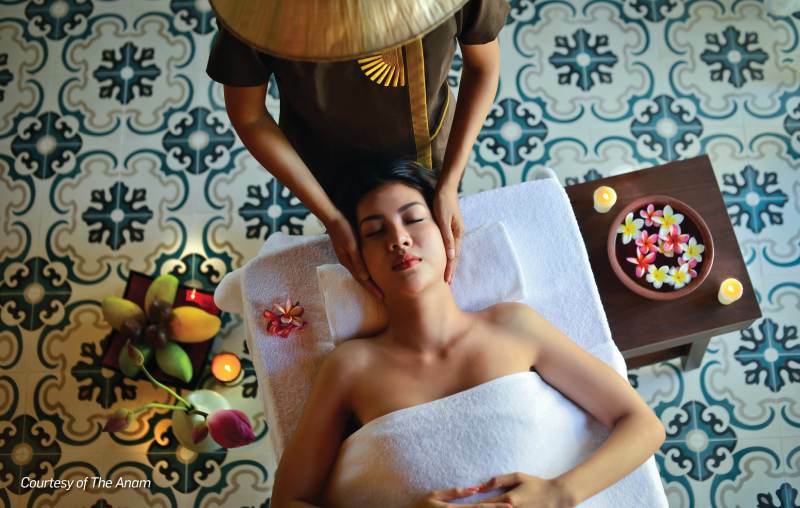 Here, you romance with the bygone Indochine era, admire the imperial-style design, and say chào bạn to nature. The Cam Ranh peninsula enjoys more than 300 sunny days in a year. It is relatively unexplored, and away from the bustling city of Nha Trang. The Anam, Vietnam is one of the few luxury resorts here, and one of the only six resorts in the world to be recognised as ‘World Luxury’ by Worldhotels. 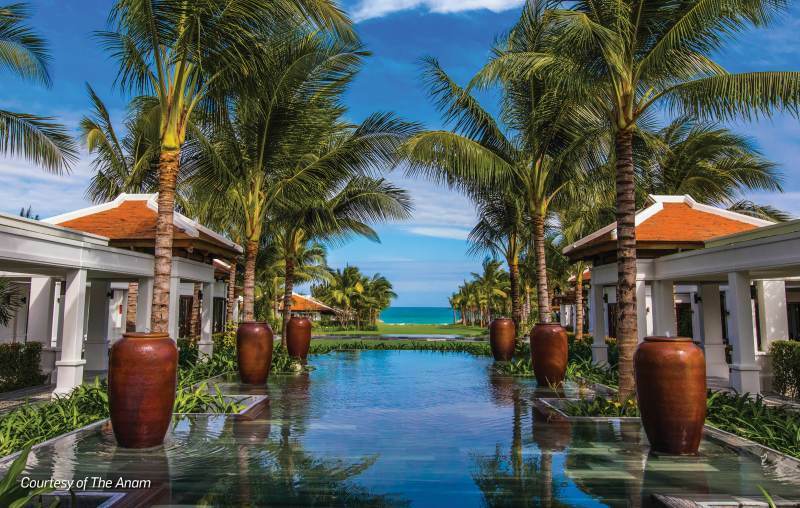 Heavily inspired by Vietnam’s Indochine era, the resort’s décor and design—in the villas, restaurants or even the pathways—reflects this bygone age and lends to the romantic and nostalgic appeal of the place, by capitalizing on Vietnamese craftsmanship. 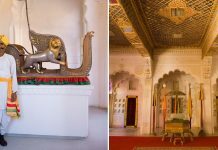 It features 117 villas and 96 rooms and suites, taking care of all segments from families to honeymooning couples to a group of friends. To nudge you to explore the coastline, there will be a beach bag, slippers, conical hats, and umbrellas in your room along with bathrobes and kimonos. Snooze time is blissful with the Sweet Dream A La Carte concept, that includes king-sized Sealy mattresses, plush 300 thread-count cotton Irish bed linen, and a pillow menu. Its culinary prowess is evident in its restaurants and bars that offer experiences such as the good ol’ barbecue and fine-dining. A variety of Vietnamese, Asian, and European fare is on offer at The Indochine and Beach Club. The Indochine Grill focuses on French cuisine accompanied by live renditions of traditional jazz and pop music. For more poisonous pursuits, the Saigon Bar and Sports Bar is your best bet. For some serious laydown time, the Sri Mara Spa, named after the area’s first Cham Leader, offers everything from traditional Balinese treatments to tea-inspired THÉMAÉ products. In addition, there is a movie theatre at the resort and guests can participate in various activities like beach volleyball, sepak takraw (kick volleyball) sailing, surfing, diving, and yoga. Kids, too, have options of indoor and outdoor games. If you are travelling with your partner, ask for a Sea View Villa that has its own pool. For a large group of family and friends, the resort offers a spacious two-storey Ocean View Pool Villa with three bedrooms and bathrooms, a kitchen, a living room, and a private pool overlooking the sea. 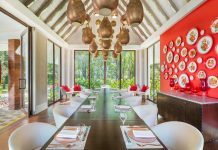 The Indochine, every Wednesday as part of the resort’s ‘Mamma’s Cooking’ initiative, opens its doors to five mothers of the staff; each don an apron and cook their specialties for guests.